A natural relaxing formula for sleep and rest. It helps calm the body. Valerian Root is used world wide for its relaxing effect on the body. Studies show that regular intake of valerian root may help with lack of sleep or tension. 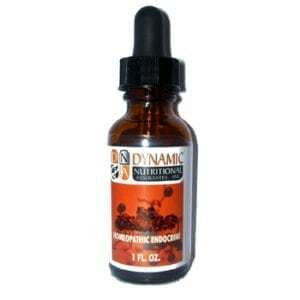 The active ingredient valerenic acid, is responsible for this sedative effect and found exclusively in this herb. Valerian root is most commonly used during periods of extreme emotional stress for its calming effect. It has also been used to help soothe the muscles during times of stress. Herbalists praise valerian root for its treatment of nervous tension and panic attacks. valerian root may also aid the body’s response to insomnia, muscle cramps and menstrual cramps. Use of this herb does not impair the ability to drive or to operate machinery. Valerian has been used for sleep aid for over 1000 years. It’s ability to relax the central nervous system, promote feelings of calm, decrease levels of anxiety and stress and enhance sleep are known to millions around the world. Unlike most sleep aids, this herb does not cause morning grogginess. 5-HTP may very well revolutionize the treatment of serotonin-related emotional and physical conditions. It has been used effectively in Europe for decades. A lack of serotonin can have dramatic adverse effects and has been known to cause depression, fibromyalgia and insomnia. In recent clinical studies, therapeutic administration of 5-HTP was confirmed effective in treating depression, fibromyalgia, and binge eating. 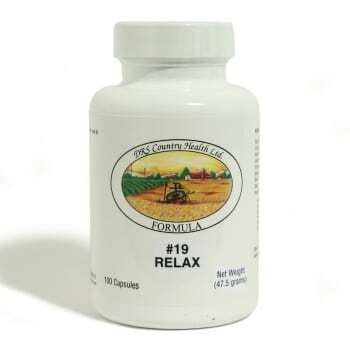 Try our CHF #19 Relax which has 160 MG of Valerian root and 25mg of 5-HTP as well as other herbs. The University of Maryland Medical Center states that valerian is a popular treatment alternative to benzodiazepines (such as diazepam and alprazolam) and other commonly prescribed medications for sleep problems because it is considered to be both safe and gentle. DESCRIPTION: Valerian Root with Vitamin B-1, herbs, and minerals. INDICATIONS: Use CHF #19 when the effects of Valerian Root is desired. Valerian Root, Passion Flower Aerial Parts, L-5-Hydroxytryptophan (L-5-HTP), Hops Flower, L-Aspartic Acid, L-Glutamic Acid HCL, Lithium Orotate, Inositol, L-Methionine, St. John’s Wort Extract. OTHER INGREDIENTS: Gelatin* (capsule), Magnesium Silicate (lubricant), Magnesium Stearate (lubricant), Silicon Dioxide (anti-caking), DiCalcium Phosphate (carrier). SUGGESTED USE: As a dietary supplement, one (1) capsule with each meal and two (2) capsules at bedtime, or as directed. If you are pregnant or lactating, you should consult your physician before taking this or any supplement. Keep out of the reach of children. NOTICE: This product is produced in a facility that also uses derivatives of Milk, Fish Shellfish, Tree nut, Wheat, and Soy. *The Gelatin used in the manufacture of the capsule is Sodium Lauryl Sulfate (SLS) free.